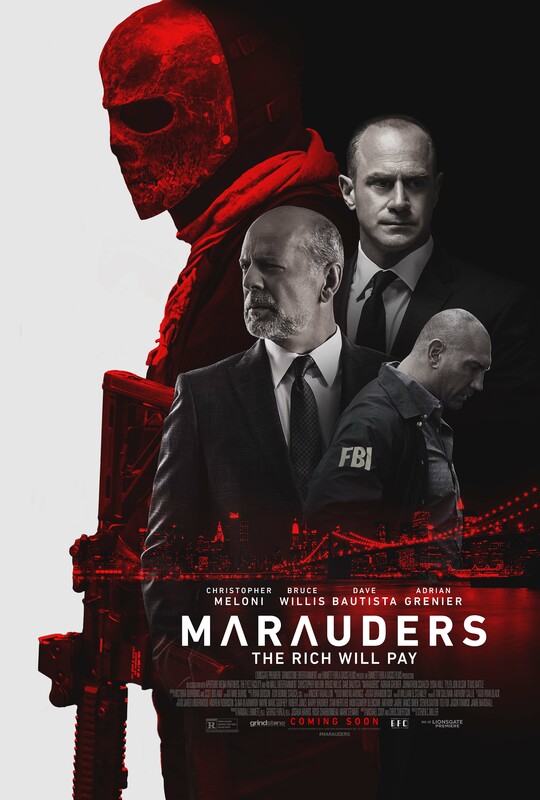 This is a pretty decent sort of reverse heist movie. As always Bruce Willis does a fantastic job playing his classic role - however this time he is on the opposite side of the law. Anyway, he is actually not the main character. That is handled by Christopher Meloni, and does not do a bad job either. He is very believable in his role, but in my opinion he just lacks the final X-factor that makes him fit for a main character in a movie of this potential. That was my impression anyway. It is, however, a very recommendable movie, if you like heist movies involving corrupt cops, politicians, military personel and businessmen.